AA Self Storage is Butner’s climate control specialist! Our Butner, NC storage facility has almost 10,000 square feet of NEW drive up climate-controlled storage with 88 new units. Choose from our sizes of climate-controlled storage units, ranging from 10×10 to 10×20. 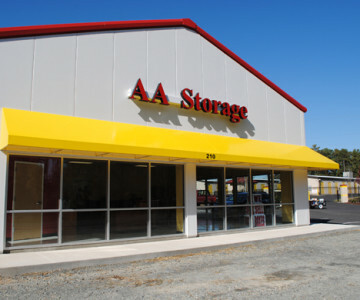 To see the storage unit sizes available at the Butner AA Self Storage location, visit the Storage Options page. Or, contact AA Self Storage to speak with a member of our staff about climate-controlled storage.